Both flipping the same sample, Which one is better? Akir's multis in the first verse are nice, but he falls off with some lines mentioning his name and the people that he's repping for..if we don't know them, we don't care (harsh but as a whole, true). Tech really takes it to another level lyrically for me, his knowledge and wisdom is what always makes him a great emcee... that said, it becomes impersonal to the listener when he starts doing shout outs also. But he sticks to the subject much better and delivers some really nice lines that I can really enjoy, but not feel (as I don't know what it's like to live in the Middle East, where as most people have had that Grandma). That said, it's still a great verse and the song as a whole is enjoyable. CYNE's version, is on another level altogether, IMO. With every great track, there is emotion... and in the case of Up Above, pain, grief and hope are all evident. To me, the last part of the last verse sold the whole song, but each verse (even though it's a mesh of lyrics) was brilliant as well and each by Cise Starr (my favourite of the two emcee's in the group, even though Akin sometimes tops him). A short track with enough lyrics for a 4 or 5 minute song. As I've said in the past, CYNE on Evolution Fight were in that Illmatic, Reasonable Doubt, Ready to Die equivalent mentality, the discovery and becoming was evident throughout for each member of the group, whether on the board or on the mic. That said, I'm taking nothing away from Revolutionary Vol. 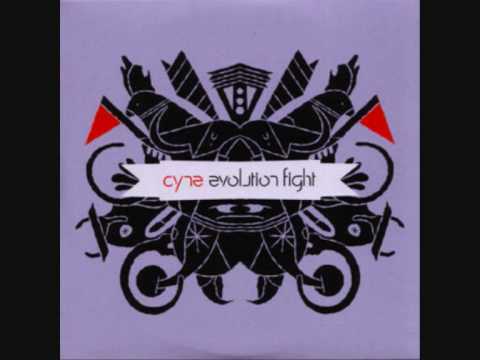 2, but I think as a track Vs track, CYNE's Up Above takes it. Good points, i recon CYNE's version is better, better flow and feel to the song. Yet i must of heard the Akir joint about 10000 times.... And lyrically its on point..
Why do you feel that they outshine Cise Starr lyrically? Be interesting to debate it! Yeah, I agree… it's funny though as Tech's release was huge really in comparison to Evolution Fight… so I can see why it would be a favourite over CYNE's Up Above.